The ROC is the community pride and joy of Georgina! 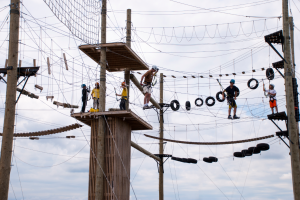 During the warm months the Challenge Course’s High Ropes, Low Ropes, Rock Climbing, and Zipline are sure to please. Afterwards, you can cool down in the water play Splash Pad and then eat a packed lunch or one from the Canteen! 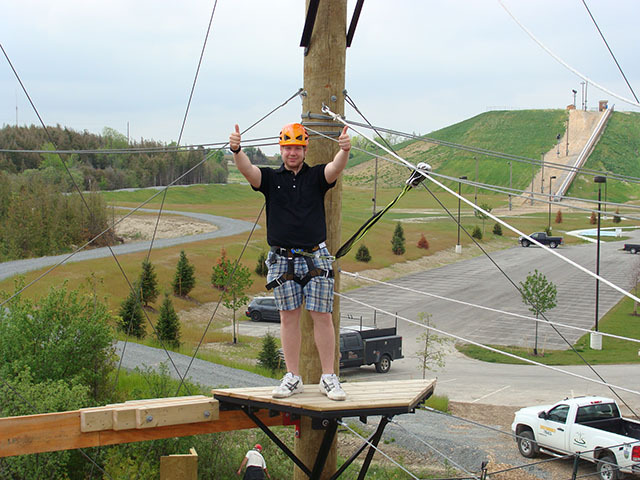 Hike on the year-round walking trails and plan a day at The ROC this year. Bring your bike and immerse yourself in the Bike Park for all different skill levels, including the North Shore Trails. For the tennis or basketball enthusiasts, bring your equipment to enjoy one of the two half-basketball courts or one the four asphalt-surface, fully-lit tennis courts. Gather some friends for a game of beach volleyball at one of the three courts located next to the Chalet. Whether you’re looking for somewhere to host your corporate team building, birthday party, wedding, or event – The ROC has a package to suit your needs! If you require some quiet time, experience healing at the single-path walking labyrinth. For the history buff, check out the Georgina Pioneer Village and Archives. The ROC also features award winning soccer fields plus artificial turf, a full regulation sized baseball field, enhanced t-ball and softball diamonds. With an abundance of parking, The ROC can comfortably hold large tournaments and events with ease. The ROC’s winter activities can also be enjoyed by the entire family, and include snow tubing, skiing, snowboarding, tobogganing, and trails! The ROC is located at 26479 Civic Centre Road in Keswick. For more information, please visit The ROC website or contact 905-476-4301, Ext. 2354.